– New Gameplay Features with enhanced Force Powers, new power-ups and new Challenge Modes. – Solve Puzzles through the use of creative thinking, teamwork and unique building situations. – Over 120 playable characters, and new characters like Watto, Zam Wessell, Boss Nass and more! – Upgraded Character Customizer allowing millions of possibilities. With character parts from all 6 movies, create cross-Trilogy mash-up characters like Han Windu and Lando Amidala. 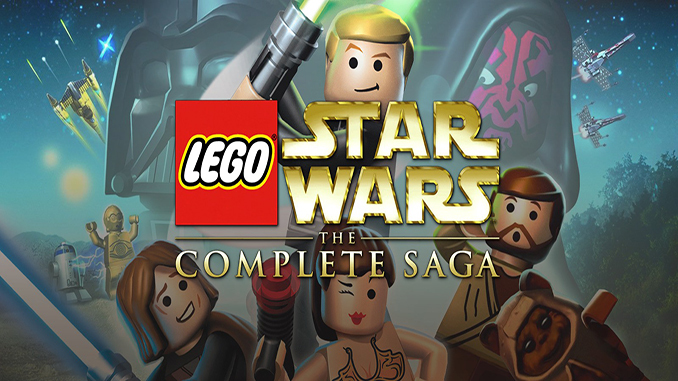 – Redesigned levels like the “Mos Espa Podrace” and “Gunship Cavalry” to take advantage of the the open vehicle gameplay of LEGO Star Wars II. – Bonus levels and missions allow you to take 10 additional Bounty Hunter missions from Jabba the Hutt in the prequel trilogy. – Two Player Local Co-Op lets friends and families play together. hey, i’d like to report a problem, there’s audio in the game file but there isn’t any audio in-game it’s just dead silence, how do i resolve this? hey there i just got the game and when i exited i cant go back in the game?? What do you mean? Have you played the game and can’t play again when you want to? can you please post error if you encounter any. What is the hash of the exe.